MORE FUN THAN A BARREL FULL OF MONKEYS. *Not all of these models were imported by American Honda Motor Co. The Monkey features 220mm front and 190mm rear single disc brakes for excellent stopping power. Who says being on a budget can’t be fun? 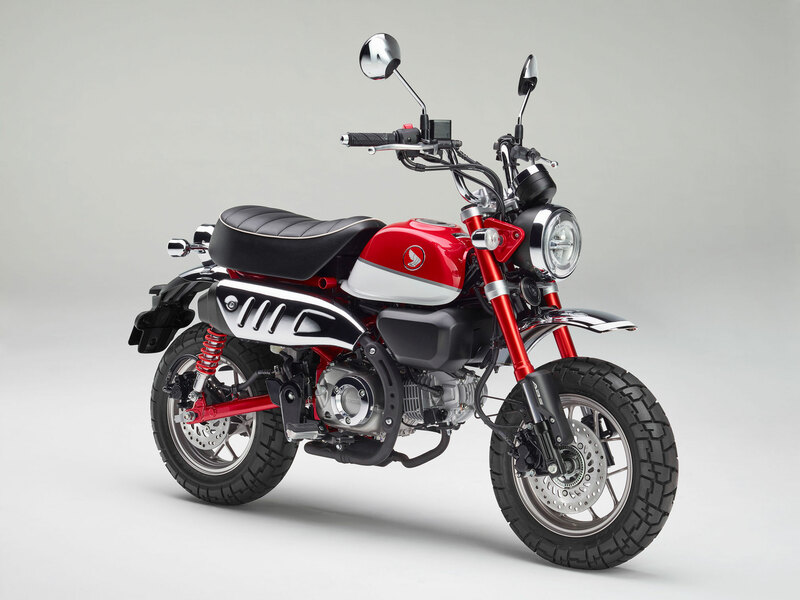 With its 1.5-gallon fuel tank and awesome fuel efficiency, the Monkey may be small, but it lets you ride far on every fill-up. 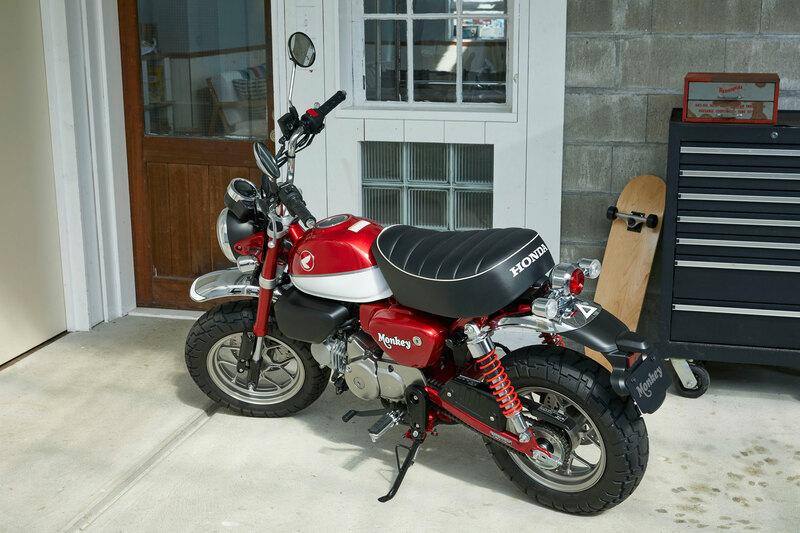 Because of the Monkey’s miniature stature, it’s easy to park in the city, and to store when you’re not riding. There’s always room for a Monkey! Forget about big, bulky taillights—the Monkey’s LED lamp is bright and clear—plus, it’s round like a coconut! 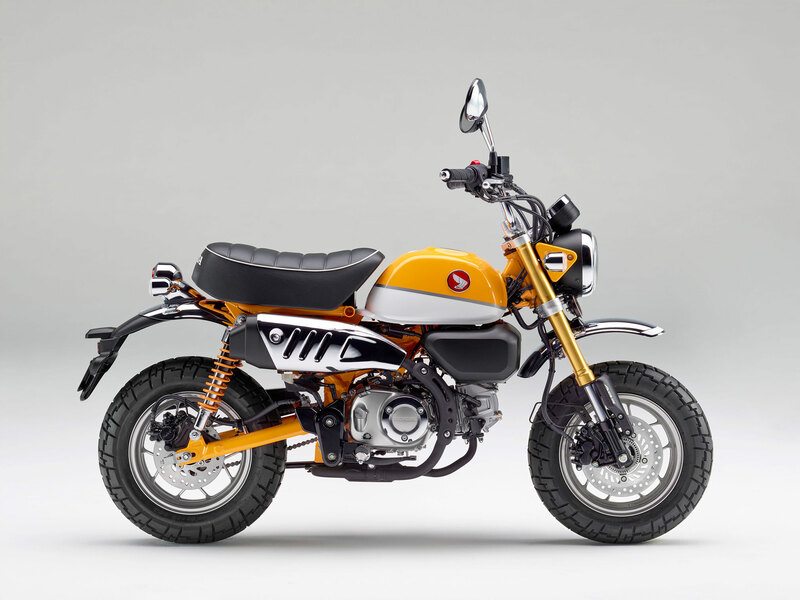 The new Monkey 125 has twin rear shocks. Combined with the fat tires and cushy seat, they smooth out the roughest pavement in the urban jungle. 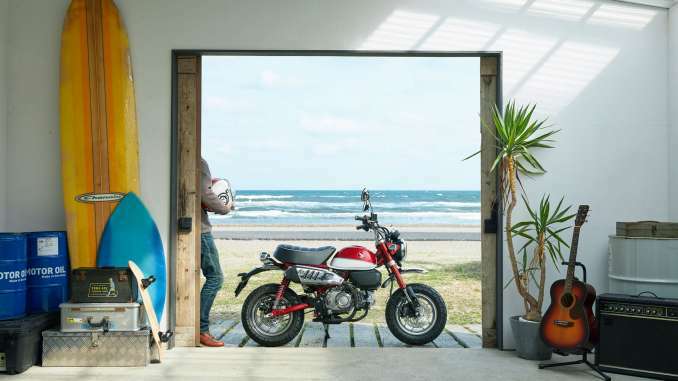 Here’s a huge improvement over the original Monkey bike: Like a top-of-the-line sportbike, the new 2019 Monkey features an inverted hydraulic fork front suspension for control and road feel. Sure, the Monkey may be small, but we sized it to fit adult riders. 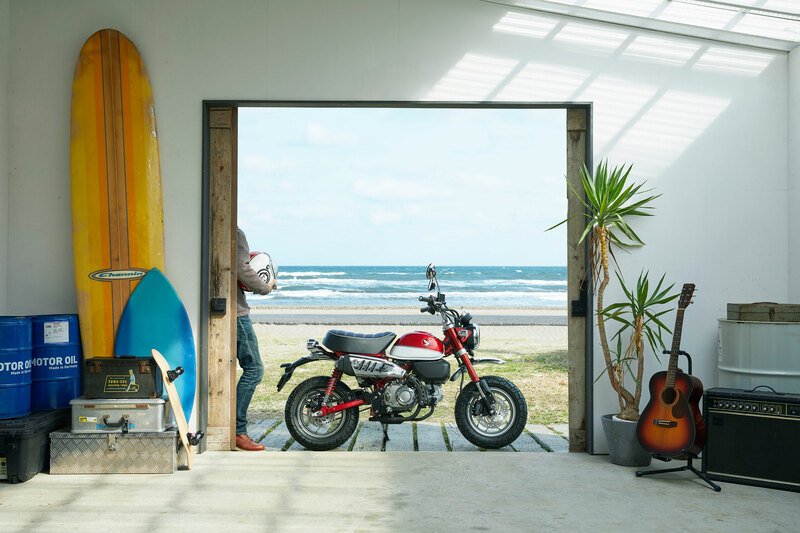 Case in point—check out the high-rise handlebar, so you can sit up and check out the world as you ride. The Monkey’s round headlight looks retro, but its performance is totally up to date and provides superior illumination and visibility. Retro meets modern in the Monkey’s instrument cluster. 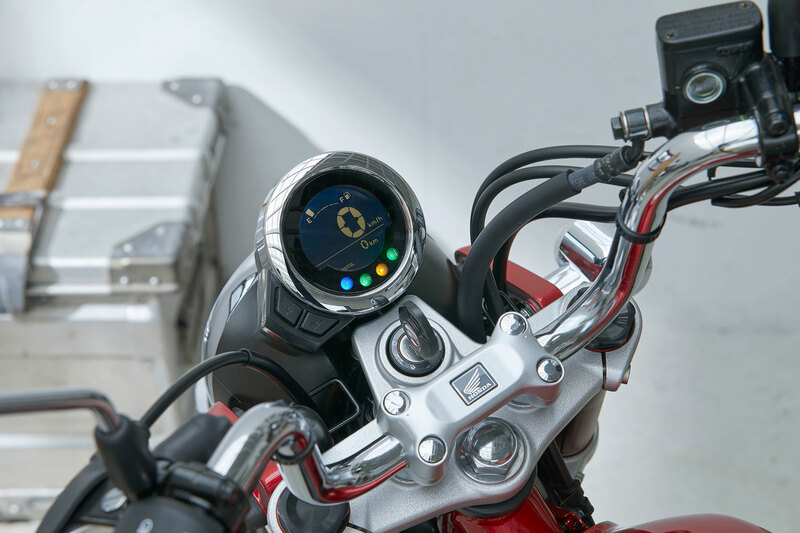 The round housing is totally 1960s, while the display features speedometer, odometer, tachometer, A&B trip meters, fuel gauge, and indicator for low/high beam. It even greets you when you first start the bike! The Monkey’s high-aspect-ratio tires do more than just look cool. They’re extraordinarily practical too, giving you tons of grip and absorbing bumps or rough road surfaces. At just 30.6 inches, the Monkey’s super-low seat makes it easy to flat-foot it in parking lots or at stop lights. Curb Weight* 236 lbs. 232 lbs.